Our briefing notes and guides are designed to help you understand what’s going on, who is doing what and how things fit together. We will try and cover key emerging issues for the sector, structures and organisational changes as well as general policy and strategy information. This section focuses on materials aimed at helping you operate your organisation safely and legally. This will be a member’s only resource once complete – click here to find out more about joining Community Action Norfolk. It concentrates on subjects linked to legislation, permission and governances including key issues such as safeguarding, health and safety and data protection. This section focuses on materials aimed at helping you develop your organisation or project. 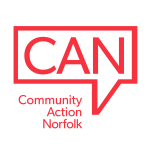 This will be a member’s only resource once complete – click here to find out more about joining Community Action Norfolk. It concentrates on subjects from identifying needs and engaging with your community and volunteers, to planning your operations, finances and funding and how you evaluate and continually improve what you do.